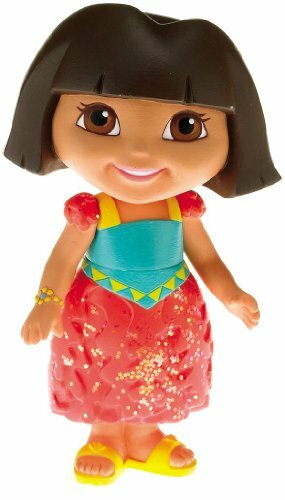 Dora the Explorer Coral Dora figure is dressed in a teal and orange dress and is wearing sandals. 5 inches tall. 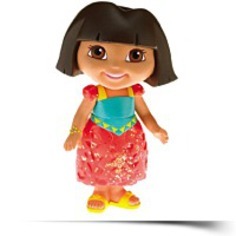 Collect other Dora figures like Dancer Dora (sold separately) and Ice Skater Dora (sold separately) Age 3+. Figure measures approx. Figure has poseable arms at the shoulders. Colors and decorations may vary slightly. Clothing is NOT removable. Figure and clothing is produced from hard plastic. Package Dim. : Height: 2.5" Length: 6" Depth: 4.4"